I first saw the Mamma Chia Vitality beverage at Sprouts. This drink has Chia seeds inside and was very intriguing. I purchased a few and could not wait to try them. The first flavor I tried was the raspberry passion. I was pleasantly surprised by the texture! 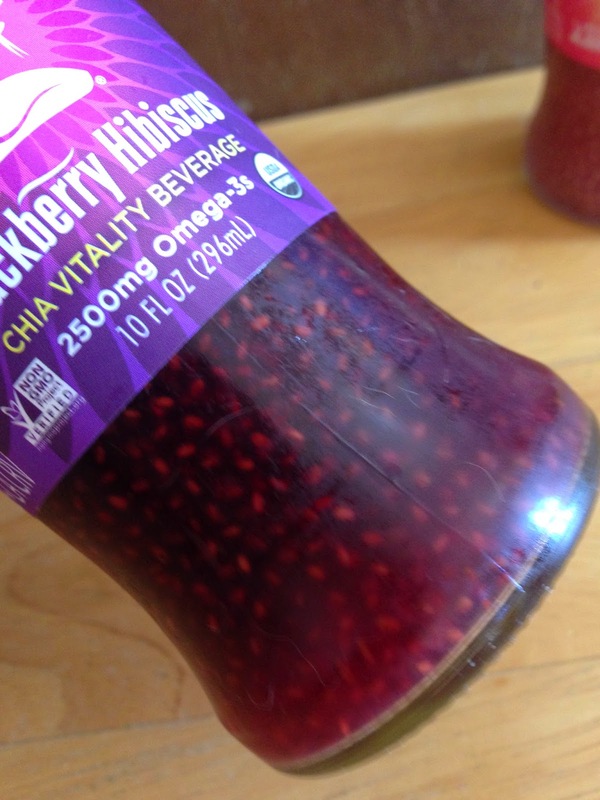 The Mamma Chia Vitality beverage has the consistency of stirred jello. It is smooth and liquid-y, and very refreshing. You can taste the delicious juice and the seeds don’t get in the way. I personally enjoy the texture of the seeds in the drink. Mamma Chia Vitality beverage comes in 9 different flavors. Mamma Chia Vitality beverage comes in a 10 ounce bottle. There are 120 calories per bottle, 4 grams of fat, 6 grams of dietary fiber, 4 grams of protein and 2500 mg of Omega 3’s! Mamma Chia Vitality beverage is gluten free, vegan and organic. The beverages do need to be refrigerated. 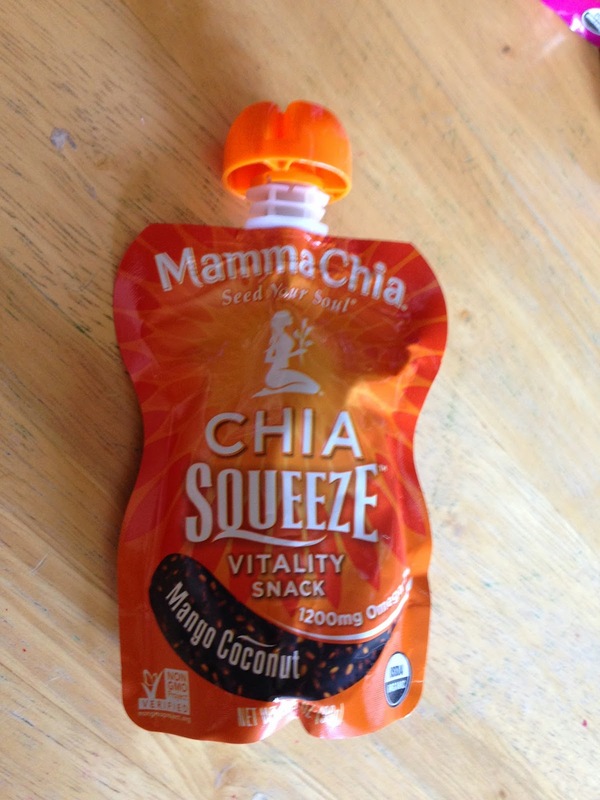 If you are looking for an on the go snack, Mamma Chia has a Chia Squeeze just for you! 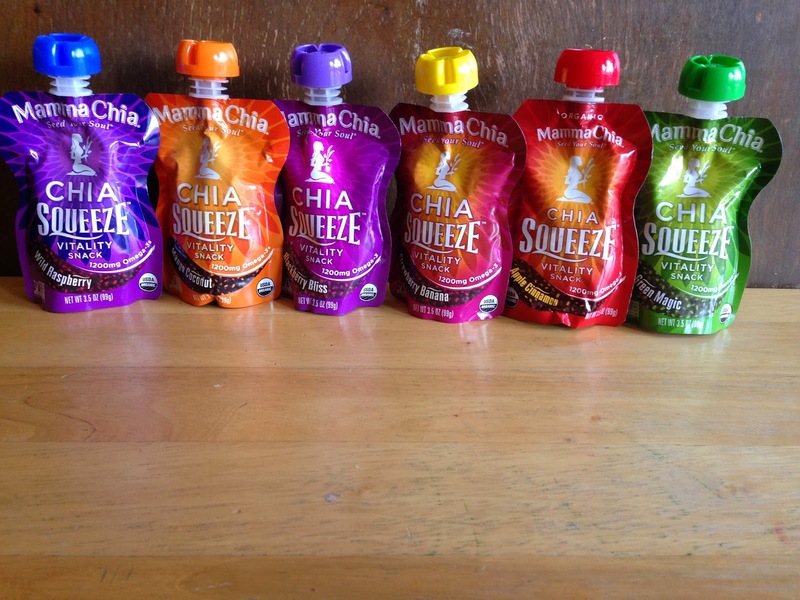 Chia Squeeze comes in 6 different flavors. Chia Squeeze comes in a 3.5 ounce portable squeeze pouch. 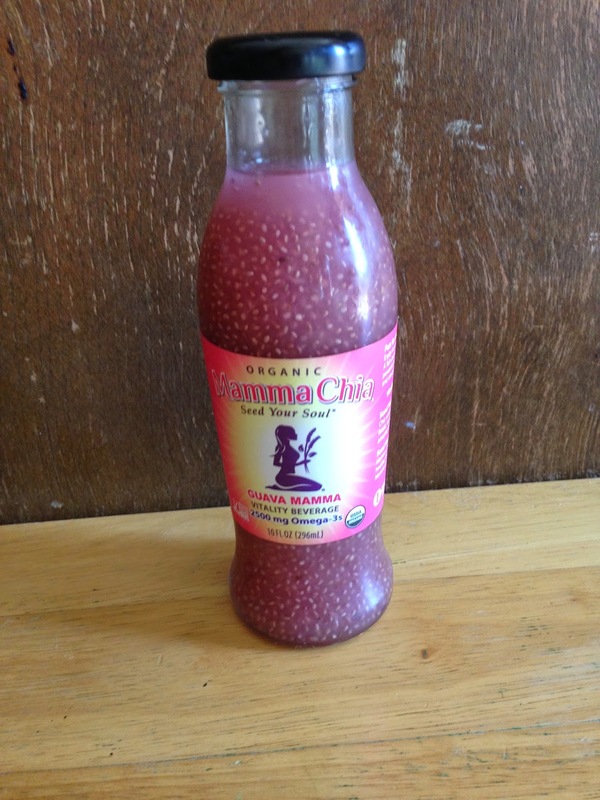 The Chia Squeeze is a little bit thicker consistency than the Vitality beverage, but is still easily consumed. Chia Squeeze comes in a squeeze pouch and is the perfect on the go snack. You can toss them in your purse, diaper bag or your gym bag. I really enjoy Chia Squeeze. It is a great snack. Bunny loves Chia Squeeze as well! This is a great snack for both Moms and children! Mamma Chia Vitality beverage is thicker than most drinks. The combination of the Chia seeds and the juice is extremely refreshing. If you see Mamma Chia Vitality beverages in a store near you, I would highly suggest giving it a try! You can use the Store Finder to find Mamma Chia in a store near you! You can buy Chia Squeeze here. Disclaimer: I received these items to review. The thoughts and opinions are my own and are in no way influenced by the product owner/company.